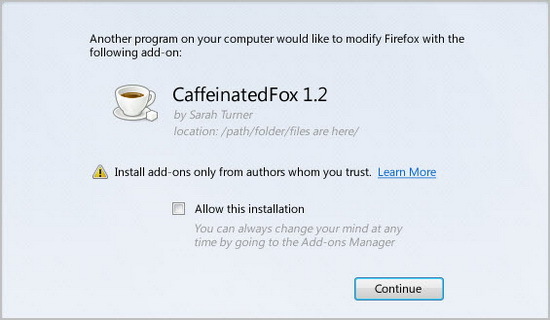 The most important change and update in security is the add-ons management by third party, where this feature disabled by default by Firefox. This will prevent to install add-on without your permission. And of course increasing your security and prevented from spyware or evil program. But when you want to active it, you can activate it manually. Firefox 8 Final also add feature to search directly on twitter, so Firefox users can search for tweet in Twitter directly from search box in Firefox 8 Final. Other than that there are also feature load tabs on demand on startup. 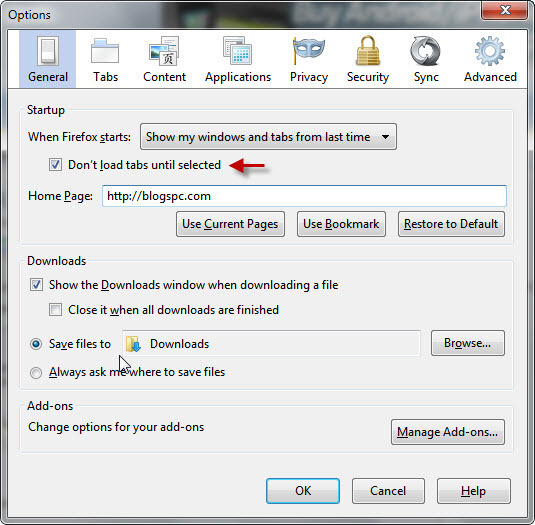 This feature make it possible for users to choose tab which going to be loaded when Firefox started, and continue to load other tabs only when user choose or activate it. Of course this makes the loading process on Firefox 8 Final faster than the last version. This is one of the biggest different between Firefox 8 and the one before. By this feature, add-ons that going to be installed by third party program will directly cancelled. This is one of the effort to increasing security because on the version before, add-ons installations like this can pass without known by the users and have risk to be infected by malware. There also choice to manage add-ons which have been installed before in one choose. One of the other interesting feature is the Twitter option in the search bar. This feature is usefull to make it easier to search for post on Twitter. 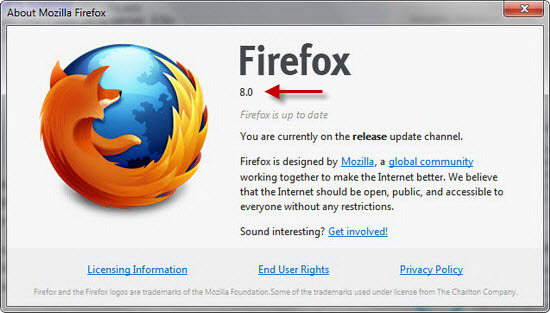 Mozilla promise speed improvement better than the old version. Mozilla also mention that the increasing performance and memory will also be there when playing audio and video.